To make sure that you get your workout drink ready and mixed well, the best blender for protein shakes is a must. After all, it’s a relatively small investment compared to the time and effort you spend working out in the gym. The products in our reviews below cover a number of different blenders. We’ve included the personal sized devices that can do just one task, which is blend. But at the same time we’ve also included some mixing systems. These allow you to create multiple drinks at the same time, and use them as well for cooking or making smoothies or other drinks. Best Blender for Protein Shakes: This is an all-around mixing system that provides high powered blending ability. It makes quick word of protein shakes, but just does as well with milkshakes and smoothies. Equipped with a powerful 600 watt motor, this tiny device is able to blend ingredients much faster and product smoother consistency. The manufacturer bills this as a super food nutrition extractor as it is primarily intended for making fruit and vegetable smoothies. Its high torque motor is said to be able break down food better than similar products so you can absorb the nutrients better. We like that it comes with a number of different cups. In total it comes with 3. There’s one tall cup, and 2 short cups. This lets you prepare more than one cup of protein shake to take with you to the gym or to work. Simple to use, easy to clean it is ideal for the lifter who doesn’t want to spend a lot of time in the kitchen during food prep day. One thing to note about the device is that it only goes one speed. This isn’t much of a problem when making simple drinks like protein shakes or smoothies, but speed settings may be more helpful when dealing with other ingredients. This is a cheap blender for protein shakes. It doesn’t offer some of the features of the blender above but does a great job it preparing workout shakes. The machine comes with a good sized 250 watt motor. You also get a large 20 ounce sport bottle that you can take with you on your gym bag. The bottle is plastic so there’s no fear of breaking in case you drop it. It is also BPA free. Very lovely to look at on the kitchen counter top, it offers an automatic shut off to prevent from overheating and damaging the motor. When it does this, it allots 15 minutes for the motor to cool down and you can start using it again after. It is offered in 3 bright colors including blue, orange and pink. This works very similar to the NutriBullet above in that all you need to do is fill the bottle with your ingredients. Then, insert the bottle to the motorized base. Pushing it on the base engages the blades to blend the contents. When done, remove the sport bottle from the base and bring it with you out the door. Cheapest Blender for Protein Shakes: At around $15, this is the lowest priced protein shake blender in our reviews. This is as simple as you get and very compact as well. The product is offered in 2 varieties, where you can choose to get it with 1 jar or 2 blending jars. Each of the jars are 14 ounces in size and come with cover lids. This makes them portable so you can prep your workout shake or smoothie and take it with you right after. The device comes with a solid 175 watt motor which fits just right for a personal sized blender. This lets you make single servings each time. The device also does a good job for mixing drinks like cold milkshakes and smoothies where you crush ice with it. However, if you do plan on doing a lot of crushed ice drinks or making frozen fruit smoothies along with your protein shakes then going with a higher powered motor like the NutriBullet above would be a better option. The bigger motor is able to handle this better. And this in turn will lead to a longer run life for your blender. For something that is affordable but will let you add ice to your protein shakes, you may want to consider this Black & Decker blender. The device is fitted with a 275 watt motor and comes with stainless steel a Fusion Blade system. The blades are designed so that the crush ice to a good consistency. This helps keep the motor from doing all the work itself. This single serve blender is great if you want to add ice to your protein shakes. The shape of the blades likewise allow it to evenly blend other ingredients so you can add bananas, peanut butter and other favorites in and still get even consistency with each drink. The machine comes with 2 blending jars that double as travel mugs. The come with a drinking cover so you can take them on your car or to the gym without spilling. Each of the jars have 20 ounce capacity and are made with BPA free plastic. They are also dishwasher safe making them easy to clean. 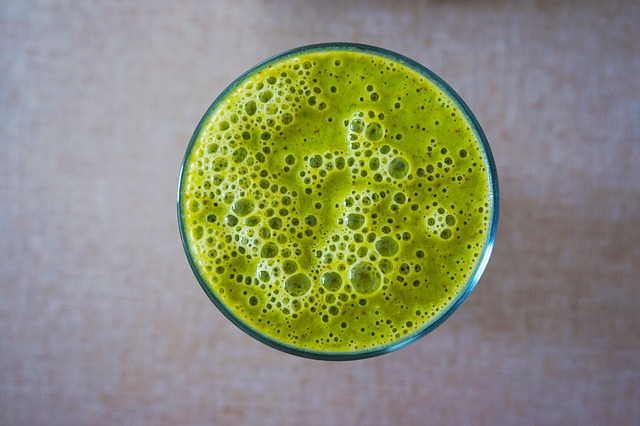 High Powered Blender: For anyone who wants to be able to use their blender not only for making protein supplement drinks, but other healthy beverages as well, this is a good option. Among our protein shake blender reviews here, this comes with the highest powered motor at 1000 watts. The motorized base works with extractor blades that are designed to pull out as much nutrients from fruits and vegetables. This comes in handy if you plan on making fruit or green smoothies as well. The powerful motor makes quick work of ice cubes so you can add them into your shake to get better tasting, refreshing muscle building shakes. This blending machine includes 3 jars of different sizes. There’s the 12 oz. jar, an 18 oz. jar and a large 24 oz. jar. Each of the jars come with a lid seal so you can take it with you. The extra power of the motor also allows you to add extra ingredients or make smoothies using seeds, green leafy veggies and other hard to blend ingredients, and still get smooth consistency. All very compact and easy to use. The type of protein shake blender you should choose depends on whether you want it to be able to crush ice or not. For ice crushing ability, more powerful motors are required so you’ll want to go with the higher quality devices.